I have found my new favorite breakfast dish. 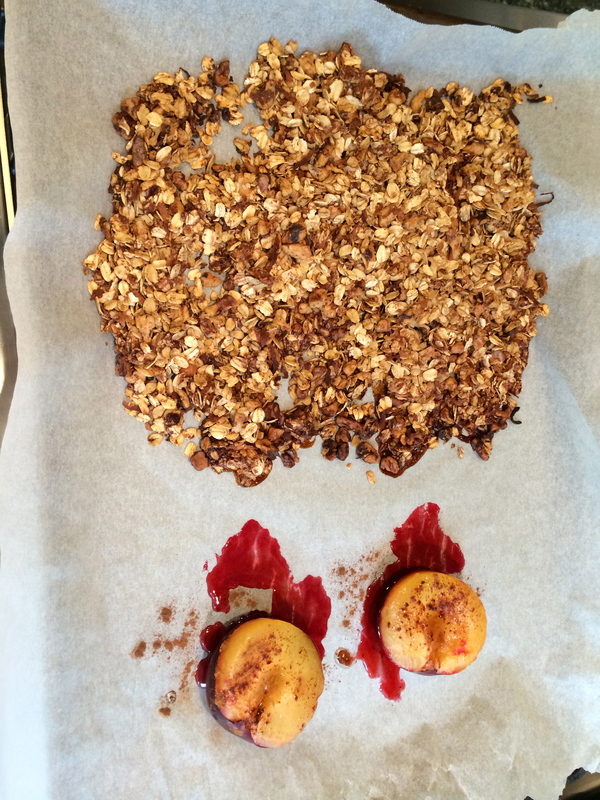 It involves crunchy homemade granola, roasted plums, and tangy greek yogurt. I was inspired by this recipe. 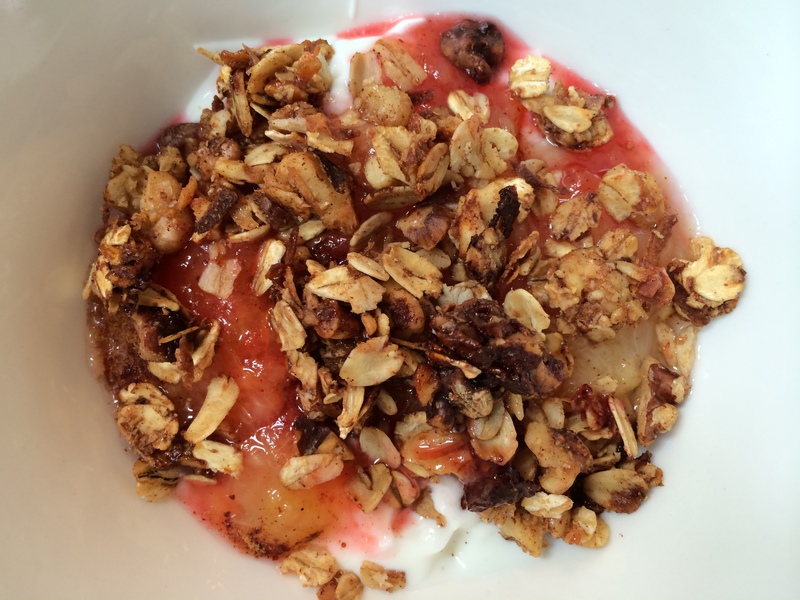 The original recipe calls for the plums and granola to go with steel cut oats, but since it’s the summer I felt that yogurt was more appropriate. Plus I love greek yogurt paired with fruit and granola. Anyway, first I made the granola mixture (oats, cinnamon, honey, coconut oil, walnuts, and flaked coconut). Then I spread it out on one side of a cookie sheet. On the other side I placed a halved plum, which I also topped with a small bit of honey, some drops of coconut oil, and cinnamon. The whole thing went into the oven at 375 degrees F for 15 minutes. I the cut up one of the halves of the plum. 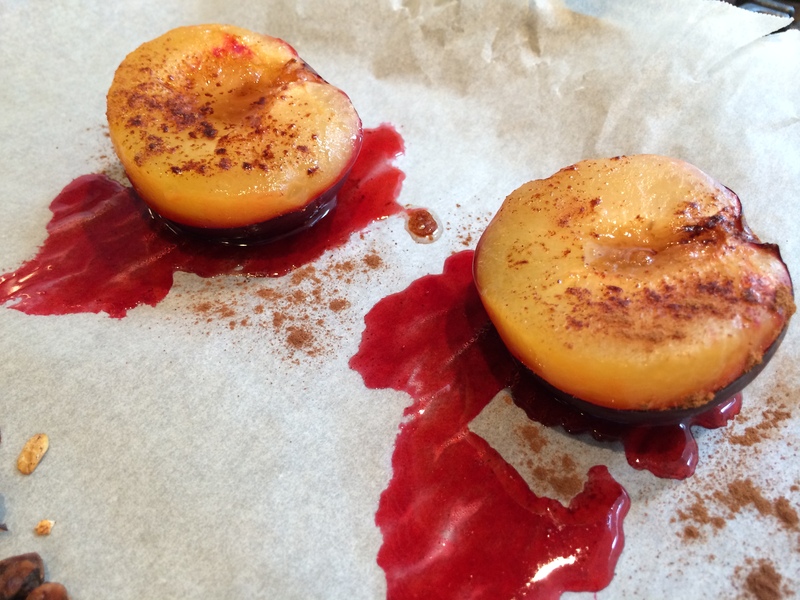 The plum was so soft that it turned all soft and mushy. I spooned the plum onto of some greek yogurt . . . how amazing does that look with the sharp contrast between the white, pink, and orange?! Then came a sprinkling of the granola. Divine. 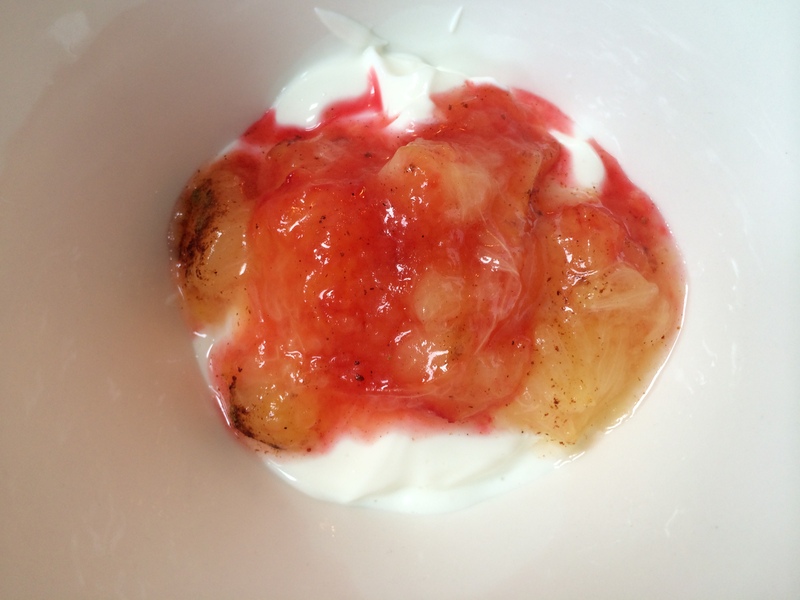 The plum was still warm, which actually went very well with the chilled yogurt. 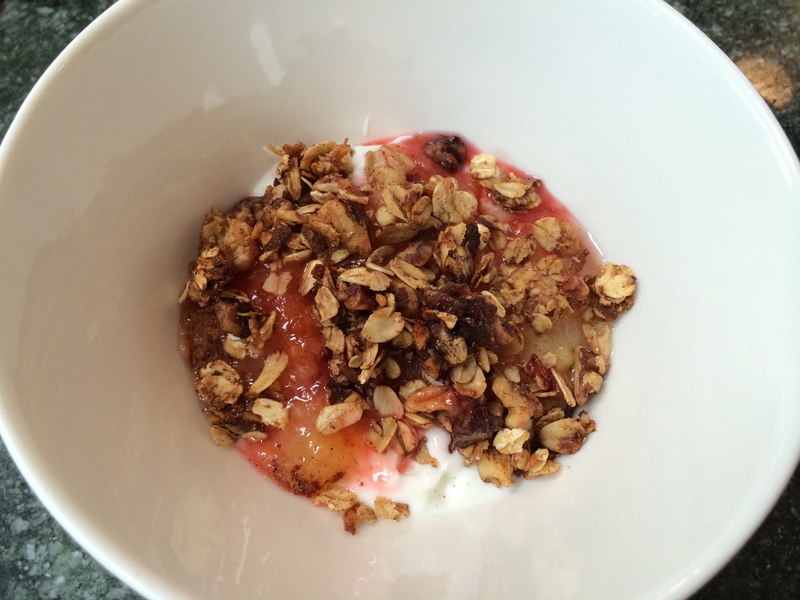 The crunch from the granola against the soft, almost stringiness of the plum, all on top of the creamy yogurt . . . I hadn’t even anticipated this would be that good, BUT IT WAS. A perfect summer treat.